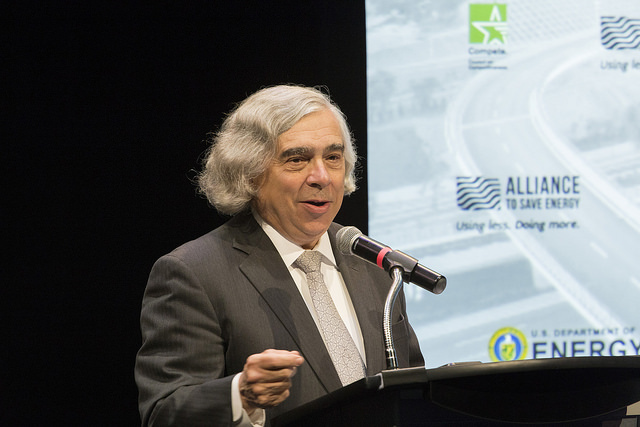 WASHINGTON, D.C. – In support of the President’s goal to double U.S. energy productivity by 2030, Secretary Moniz unveiled a strategic plan today laying out a path businesses, state and local governments, consumers and other stakeholders can use to achieve this goal. The report, Accelerate Energy Productivity 2030: A Strategic Roadmap for American Energy Innovation, Economic Growth, and Competitiveness, identifies proven and effective strategies and actions to advance energy efficiency, including at the state-level securing of energy productivity through setting and updating vehicle and product codes and standards, and providing energy performance information to consumers; introducing rate reform and related policies for utility energy efficiency programs that more effectively align energy efficiency with utility business models; and commercial businesses reinvesting avoided energy costs into growing their businesses. By doubling energy productivity, American families will be able to power their homes using half as much energy, while American businesses will be able to manufacture more while spending less and cutting harmful carbon emissions.